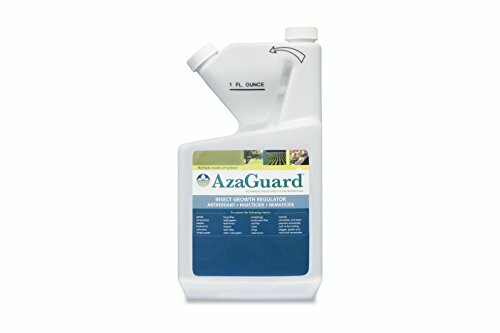 AzaGuard is a non-toxic insecticide that repels insects such as beetles, stinkbugs and aphids on plants and flowers. Use anywhere- roses, lilacs, annuals and perennials, dogwoods, tomatoes and more. This sustainable product, allows the user to have three individual applications equaling 96 fl. oz. Pour an ampoule into the side, fill with clean water and you are ready to start spraying. If you have any questions about this product by BioSafe Systems, contact us by completing and submitting the form below. If you are looking for a specif part number, please include it with your message.